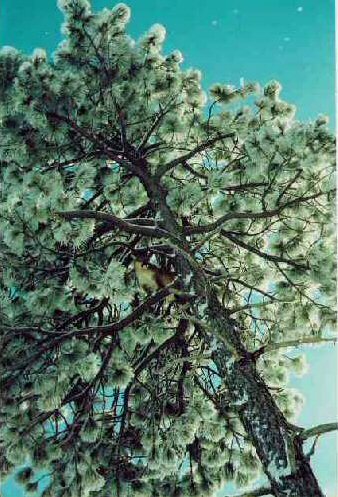 Bear Creek Adventures, hunting mountain lions in New Mexico. or until quota for the specific zone has been met. 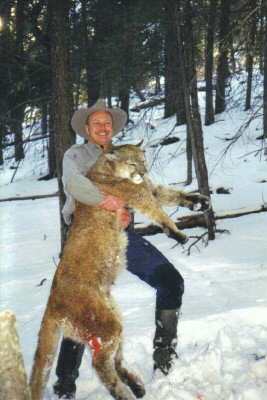 Cougar hunts are fast, exciting and exhilarating! We start out in 4x4 vehicles and ultimately travel on horseback and/or on foot or snowshoes. 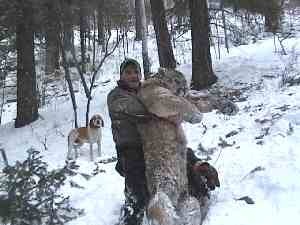 Well trained Big Game Hounds are utilized on hunts for mountain lion and the chase is usually very rigorous. Excellent health and physical ability are mandatory for these hunts. 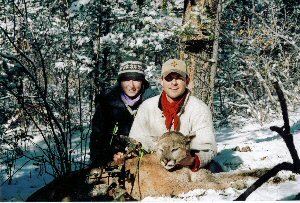 By NMG&F regulations, cougar (mountain lion) hunters must purchase their license at least two days before hunting. Licenses can be purchased by mail or online. Click on the links at the bottom of this page.